"Have your financing all arranged before you even begin looking for the motorhome itself"
1. Expand your search well beyond your local area. When you confine your buying prospects to a certain region or locality this automatically limits the choices that you have when making a purchase. The internet has made shopping outside our local area much easier and when you employ the world wide web in your search options, you can save quite a bit of money. In fact, there are dealers even in fairly remote parts of the country that sell a huge volume of motorhomes each month almost entirely due to the internet and strategic magazine advertising. So see what they have to offer. Modern shipping costs for vehicles has become much more reasonable too, so if you know what model you want you can actually make the purchase and have it shipped right to your door. 2. Wait till the end of the current model year to buy the motorhome that you want. Just as with the car industry, dealers have to clear out old inventory to make way for the new model year offerings when they are released. This can be a perfect buying opportunity for patient consumers. Just make sure that you know which model you want and how much you are willing to pay before starting to negotiate, and don't let the dealer switch you off that model to something else on his lot without a very good reason. 3. 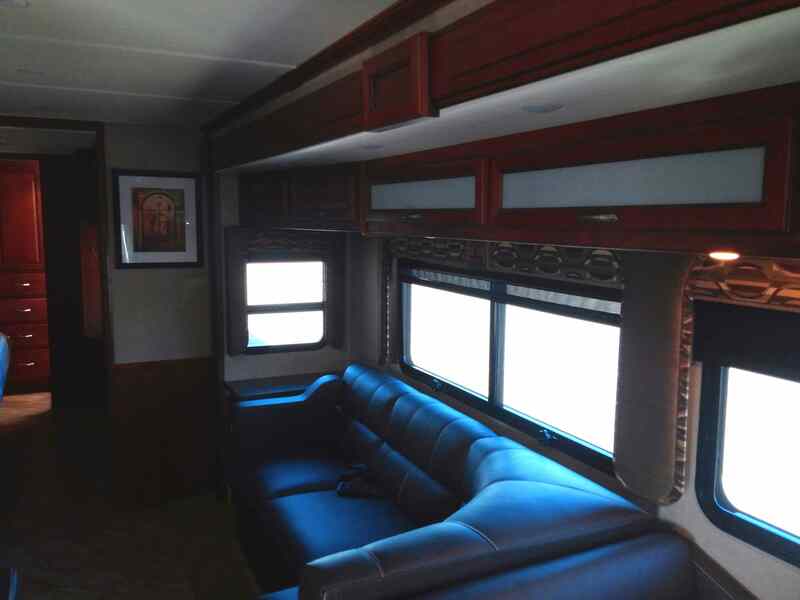 Have your financing all arranged before you even begin looking for the motorhome itself. There are several lenders that specialize in motorhome loans, and you can even access many of them right online. Just go through the loan approval process first and get pre-approved for a motorhome in a certain price range. Now when you walk into the dealer, you are negotiating what is essentially a cash deal for them. This should enable you to realize significant savings on the purchase price right away. If you add all of these strategies together, you can save a lot of money on the purchase of your motorhome and still get the model that you really want.